home where where can you dispose of your waste? There are several ways of arranging to recycle waste. You can take it to a recycling facility or use a kerbside collection (if available). For organic waste, you may choose to compost it yourself – see ‘Composting’ below or use a kerbside collection. Many recycling facilities accept bulky organic waste as well. There are 3 types of permanent recycling facility: bring banks, civic amenity sites and recycling centres. Most local authorities also set up temporary collection points for Christmas trees each year. 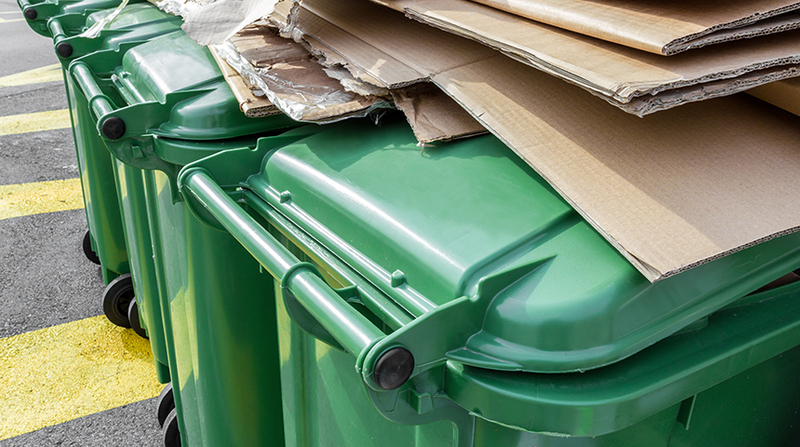 Kerbside collection of recyclable waste is often known as a ‘green bin’ collection. Recyclable materials include paper and card, all rigid plastics regardless of the colour, number or symbol, aluminium, tins and cans. Most areas now have a separate bin collection for organic waste – often called a ‘Food Waste Recycling or Brown Bin’ collection. Please do not place food in the residual [black] bin unless you have no other option. Civic amenity sites are similar to bring banks but can accept a larger variety of items. They are purpose-built, are staffed and have specific opening hours. In general they accept paper, cardboard, plastic and glass bottles, drinks cans and food tins, textiles and footwear, electrical equipment, fluorescent tubes, waste oil and DIY waste. Some also accept garden waste and Christmas trees. Some civic amenity centres accept organic materials. Staff at civic amenity sites can provide advice and information about recycling and they may have home composting bins for sale. Many of these sites have gate fees which will reflect the items being presented and this fee will vary from site to site. Bring banks are unstaffed collection points for recyclable materials like glass bottles, drinks cans and food cans. Some bring banks also have collection bins for unwanted clothes, most of them can be accessed 24 hours a day but some can be found in private car parks such as supermarkets who may close the car park at night. Composting is the breakdown of organic material like kitchen or garden waste by organisms that convert it into an earth-like mass, which can then be used as a soil conditioner. Most garden waste and much of you kitchen waste can be composted.